Professor Wong Chai Lok, also known by his aliases ‘Ming-Fu’ and ‘Lok-Yung’, is renowned both for his major contributions to education in Hong Kong and to Chinese calligraphy. Over his long career, Professor Wong held many public and private posts, including Inspector of Schools and Headmaster of Government Schools. He has worked for over 60 years to promote Primary, Secondary and Adult Education in Hong Kong. In the past few years Professor Wong and his wife have been using proceeds from the sale of his calligraphic works to build three schools in Guangdong and Guizhou. This project has been supported by his friends and students. Professor Wong, who will be turning 87 next month, continues to lecture on a variety of subjects including School Administration, Moral Education, and Chinese Calligraphy. He is known for his unique style of calligraphy and for his active promotion of the study of Chinese art. Professor Wong has written numerous books including A History of the Development of Chinese Education in Hong Kong, Travel Poems, The Poems and Chinese Calligraphy of Wong Chai Lok and Selected Works of Wong Chai Lok – His First 80 Years. He is currently writing another book on the history of calligraphy in Hong Kong. Professor Wong agreed to tell us a little bit about himself and his thoughts on the art of calligraphy. Here are his answers translated from Chinese. Also, be sure to watch the video at the top of this post. Accepting an interview request from my young friend, Mr. Potts. Mr. Potts thank you for your good will, please feel free to ask whatever you like, I would be glad to answer your questions. 1) You are a respected elderly scholar and calligrapher; can you please give a short introduction of yourself and your background? I was born in Taishan, Guangdong Province in 1924, to an overseas Chinese family. Taishan is a famous city full of overseas Chinese, so culture and education was very open. When I was a month old, my father had to leave for Canada to work, leaving my mother at home to raise me. I started learning calligraphy from around the age of 10. At that time, we had an ancestral study hall at the back of our village on a hill. The surroundings were very serene. Inside there were many famous scripts and paintings and some books. When the Uncles retired from overseas, they spent a lot of time in this relaxed environment. When they found out that I was a diligent student who was often praised by teachers, they wanted me to go study in the hall regularly. There they taught me calligraphy. At the time I used water instead of ink and I wrote on tiles. This was my introduction to calligraphy. Later in my primary school days, I joined an anti-Japanese youth group under the leadership of teachers who regularly encouraged me to write and distribute banners and scripts with anti-Japanese slogans. That was very good practice. The Japanese invasion happened just after my graduation from primary school. In 1939, I got permission from my Father to advance my studies in Hong Kong at Pui Ching Middle School. After being admitted to middle school, it was rumoured that Hong Kong’s situation was not safe, so I transferred to Pui Ching Middle School in Macau. In the winter of 1941, Japan started the war in the Pacific and then attacked Hong Kong. I had to go back to China to continue my studies. During the war, everyone struggled financially. Life was hard, and then in 1942, when my father died, my family’s financial situation worsened. In 1947, the university in Guangzhou accepted me, but I could not afford its fees. Instead, I went to Hong Kong and was accepted by Northcote College of Education, where I was able to live on a subsidy. After graduation, I was sent to a government school to teach and shortly after that, I was transferred to the Education Department as a Sub-Inspector of schools. I was also appointed to serve in the Adult Education Sections as Supervisor of the Evening Centres for Adults. Then, a tutor for a teacher’s training program, the Headmaster of a government school, and the Headmaster of one of the secondary schools for adults. 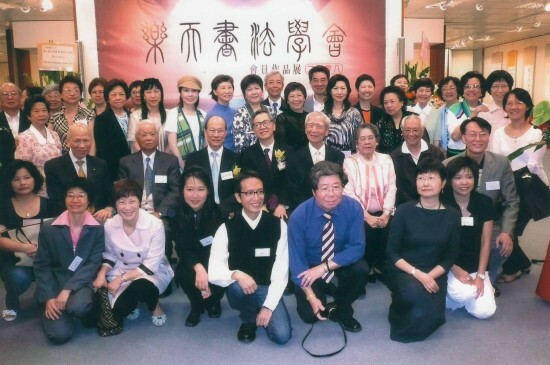 Professor Wong (Center) with his wife and fellow members of the Lok Tian Chinese Calligraphy Society at a group exhibition in 2008. As I worked, I also took courses and eventually, as I had wished, I was granted a B.A. degree and then a Master’s degree by the Taiwanese Education Department. When I retired from the Hong Kong education department, I was appointed as a lecturer at the University of East Asia (which is known today as the University of Macau). I also lectured at HKU SPACE, where I’m now an Adjunct Professor. I believe that there is only one reason why these institutions valued me: during my youth, I continually learned and worked hard and was responsible. I did everything to my best ability. 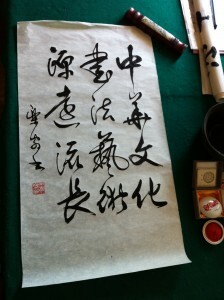 2) Can you describe the art of calligraphy and what it means in terms of Chinese culture? Chinese calligraphy is a traditional art that the Chinese are very proud of. It has developed alongside Chinese culture from the time that we had written script. Chinese calligraphy has thousands of years of history, marked by development, reinvention and innovation, and there have been famous calligraphers throughout those years. Its evolution has been remarkable: we started out with primitive drawings, then developed from Oracle Bone script and Bronze script to Large Seal script, Small Seal script, Clerical script, Standard script, Running script, Draft script and Simplified script. With all this evolution, the history of calligraphy is very colourful, exciting and varied. Chinese calligraphy, with its long history and cultural uniqueness, is an indispensable part of Chinese culture. 3) How did you become a respected calligrapher? Thank you for considering me a learned calligrapher. It is because of long term commitment and practice, and love for the art, that I can be considered as such. While the war was at its peak, I did not pay too much attention to calligraphy. But after the war, when I came to Hong Kong, where life was more stable, I was able to learn painting and calligraphy properly under masters Ho Chat Yuen, Fung Hong Hau, Chao He Cin and Leung Pak Yue. I also met many good calligrapher friends. At the time, the most respected calligraphers were Shen Yin Mo and Deng San Mu, and I gained a lot through repeatedly studying their theories and work. I considered that I should have been counted among their students. 4) What does it take to become a great calligrapher? The characters ‘Zheng Zhi Wu Si’ meaning honesty, fairness and integrity are used here to construct an abstract representation of ‘Wen Chang Dian Dou’, who is the god of the star situated in front of the Big Dipper. He is also the god governing all cultural activities in the world. It is a bit casual to call a person a calligrapher just because their handwriting is good. A person’s development as a calligrapher can be split into three stages: the learning period, the stable period, and the period in which they find themselves. To truly become a calligraphy master, besides having good handwriting, one must also have a deep understanding of literature and calligraphic studies. You must have your individuality and spirit. You can only be a real calligrapher with all these elements. 5) We know you can write many different kinds of script, which script do you favour most? In order to teach students, I have had to study Large Seal script, Small Seal script, Clerical script, Standard script, Running script and Draft script in great depth. Actually what I love most is the running script of the two Wangs, Wang Xi Zhi and Wang Xian Zhi. Wang Xi Zhi is the Sage of Calligraphy, and his running script is the most elegant, stylish, smooth, natural and refined. In practicality running script is the most convenient and useful. Generally speaking, I go for the style of the two Wangs. By blending in elements from other calligraphers, I eventually developed my own style. The art of calligraphy is so deep that there is no highest standard and for a learner, it all depends on your own hard work and wisdom to learn, understand, express and create. There is always someone better so one should always exchange and study other artists and never become complacent. 6) What do you think the future of calligraphy will be in Hong Kong? Will the tradition continue? Because Hong Kong is a place where East meets West, the general atmosphere favours Western influence over Chinese and the art of Chinese calligraphy is not as developed as it is in China or Japan. As 1997 got closer there was an increase in interest in Chinese culture and calligraphy. At the moment there are over 100 groups for Chinese Calligraphy and Painting but there are fewer groups specifically for calligraphy. There are only about 50 some active groups. I know many very famous calligraphers, a lot of whom taught in associations, schools and privately. The art of calligraphy is becoming generalized. Learned people, retired people, housewives and people of leisure have taken it as an art to study. 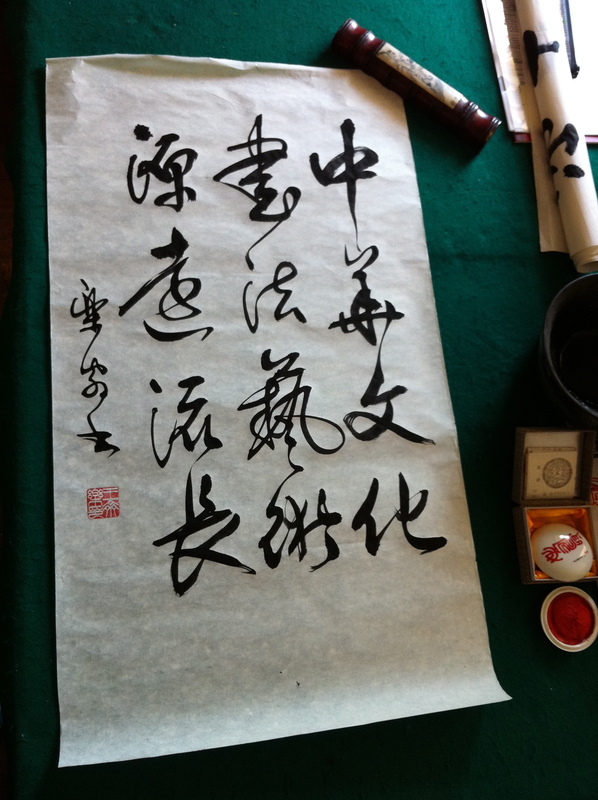 Through learning calligraphy, people feel Chinese culture and get to know Chinese literature. Calligraphy is a beautiful and special traditional art. It has been valued for thousands of years. It has always been like this and so it will be in the future, that is for sure. Not only will it carry on gloriously, but it will also blossom. 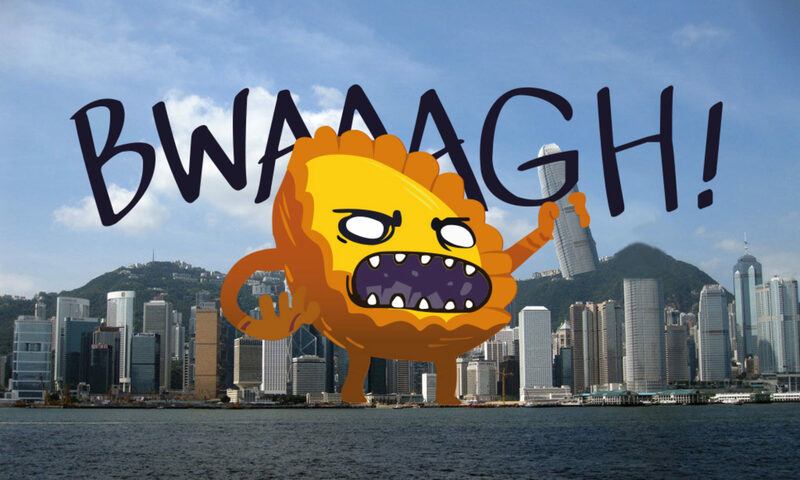 Any good wedding proposal ideas for a 2 week stint in HK? I would like to contact Prof Wong on buying some of his calligraphy or even commissioning him to do a couple of pieces for me. Wonder when Prof. Wong will visit Canada again. I am one of his many calligraphy friends and admirers in London, Ontario. Hi – I would also like to enquire about commissioning one or two pieces. Is that possible? Many thanks.